Stimulants such as crack cocaine are among the most commonly abused drugs in the world and also one of the toughest for addicts to quit, according to Harvard Health. It first appeared in the 1980s and since then has become one of the most highly addictive drugs on the street. 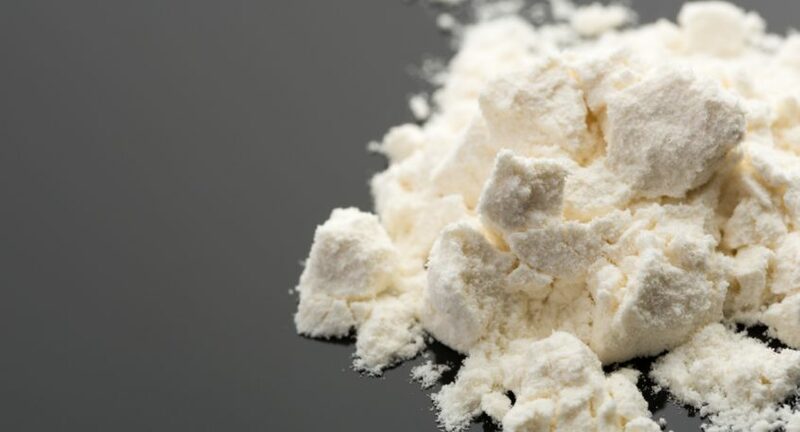 Crack is a rock version of cocaine, which is inhaled either by itself or with marijuana or cigarettes. By smoking the drug users are able to get faster results and a more intense high than snorting it like powdered cocaine because it travels into the bloodstream much faster. Crack users only receive their high for a fleeting amount of time, which causes them to have to smoke more frequently to obtain the same high. This kind of usage can lead to a very costly and dangerous addiction. As reported by the Substance Abuse and Mental Health Services Administration, in 2013 there were 22.4 million adults aged 18 or older who currently used illicit drugs representing 9.4 percent of adults. Within this number about 1.5% were crack users aged 18-25 and 4.1% were crack users aged 25 or older, as reported by the National Institute on Drug Abuse. With illicit drug use on the rise, many of these users will become addicted and need some form of treatment for crack addiction. Not to mention, most of these users don’t understand the short- and long-term effects of crack to their health, body, and mind. Crack cocaine takes effect almost immediately after a user inhales a dose. The high they get will usually disappear in as little as 15 minutes. Trading one end of the spectrum for the other, the intense high will cause an equally intense low. Once the initial “rush,” wears off, people who have smoked crack will feel many effects ranging from feeling on edge, depression, and powerful cravings. Crack is also known to cause extreme paranoia, anger, hostility, and anxiety even when a user is not high, or the drug has completely worn off. Smoking crack on a continual basis can cause permanent damage to most internal organs in a user. Crack can hook someone immediately, and they also stand the chance to be killed on their first try. Cardiovascular problems such as high blood pressure that can lead to heart attacks, strokes, and death. Liver, kidney and lung damage. Infectious diseases and abscesses if injected. Oral issues including infection, tooth decay, broken and yellow teeth. Systemic toxicity resulting from smoking the fumes of ammonia or other harmful compounds found in the crack. Higher risk for developing “crack lung.” This type of injury to the lung is caused by crack smoke as it narrows the blood vessels in the lungs, blocking circulation. Malnutrition and severe weight loss. Sexual problems such as dysfunction. There are a series of health risks associated with smoking crack. It is typically mixed with substances that create toxic fumes when burned and many users often suffer from blistered lips known as “crack lips,” from having an extremely hot pipe against their lips consistently. Not to mention, crack also increases the risk that the person will have a respiratory failure, heart attack, stroke or a seizure, all of which could end in sudden death. Aside from severe anxiety and depression, as the dopamine center inside a person’s brain is heavily affected by crack, it can create other psychological consequences. Over the long-term, permanent damage to a person’s brain can even cause psychosis or extreme paranoia, which can cause them to become aggressive, violent, and desperate to score more, especially when they begin to experience withdrawal. Other psychotic conditions and permanent hallucinations can also be the result of long-term crack abuse, leaving even a recovered user with lasting disorders. Inpatient treatment facilities are the best choice for people who have become crack dependent because treatment centers help to keep them away from access to the drug. Inpatient programs provide therapy and counseling to help a crack user in their recovery journey. If you or someone you know is using or has become addicted to crack, there are treatment programs available. Contact us today to speak with one of our professional medical staff and learn what options may be best for you.